The following introduction to Flexbox is an extract from Tiffany’s new book, CSS Master, 2nd Edition. Another use case for Flexbox is creating flexible, vertically aligned form components. Consider the interface pattern shown in the image below. Here, we have a form input control and an adjacent button. Both are vertically aligned, and our button is 150px wide. The flex property is actually shorthand for three other properties. flex-grow indicates that an element should grow if necessary and must be a positive integer. Its initial value is 0.
flex-shrink indicates that an element should shrink if necessary and must be a positive integer. Its initial value is 1.
flex-basis: indicates the initial or minimum width (when the flex axis is horizontal) or the height of an element (when it’s vertical). It may be a length or percentage, or auto, and its initial value is auto. Here, we’ve used flex: 1 0 auto for our input element. Since its flex-grow value is 1, it will grow to fill the available space of its parent. For the button element, however, we’ve used flex: 0 0 150px. The 0 values for flex-grow and flex-shrink prevent the width of the button from increasing or decreasing, while the flex-basis value of 150px sets its width. As you can see in the image below, our button remains the same size, but the width of input expands to fill the remaining space. The tricky bit about flex-grow and flex-shrink values is that they’re proportional. Yes, flex: 1 0 auto means our input element will be wider than our button. 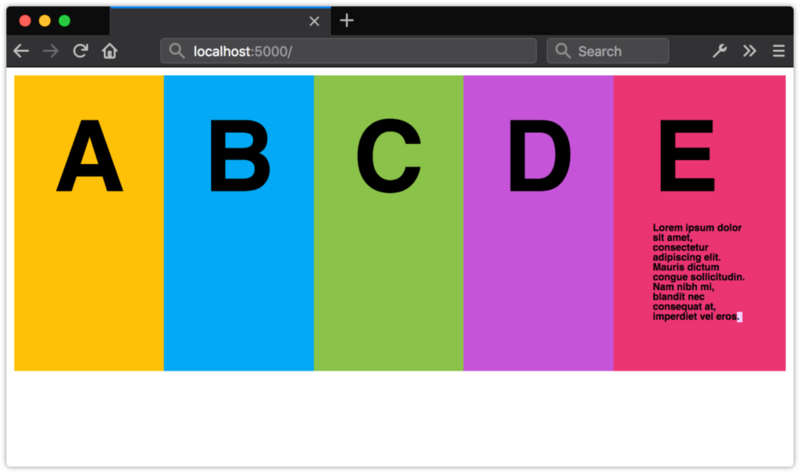 But changing the value of our button’s flex property to flex: 1 0 auto doesn’t necessarily mean that both elements will have the same size, as shown in the following image. Instead, flex items will be resized to fill the container, taking their used min-width and max-width values into account (which may be their initial values). Unfortunately, we can’t use fr units with the flex or flex-basis properties. Use length or percentage values instead. Now our flex items and their contents are vertically centered within the flex container, as shown in the image below. In most cases, you’ll want to use Grid to create grid-like layouts. However, you may find yourself wanting boxes that align when there’s an even number of items, but expand to fill the available space when there’s an odd number. There’s a lot more to Flexbox than what we’ve covered here. CSS-Tricks’ “A Complete Guide to Flexbox” digs into all the properties and values. You can also check out Philip Walton’s “Solved by Flexbox”, which showcases UI patterns that are made easier with Flexbox. As you develop page or component layouts, you may find yourself wondering when it’s better to use Flexbox and when to use Grid. Use Grid when you want to arrange elements into rows and columns that align both horizontally and vertically. Use Flexbox when you want to arrange items in a row or a column, when you wish to align items vertically or horizontally, but not both. 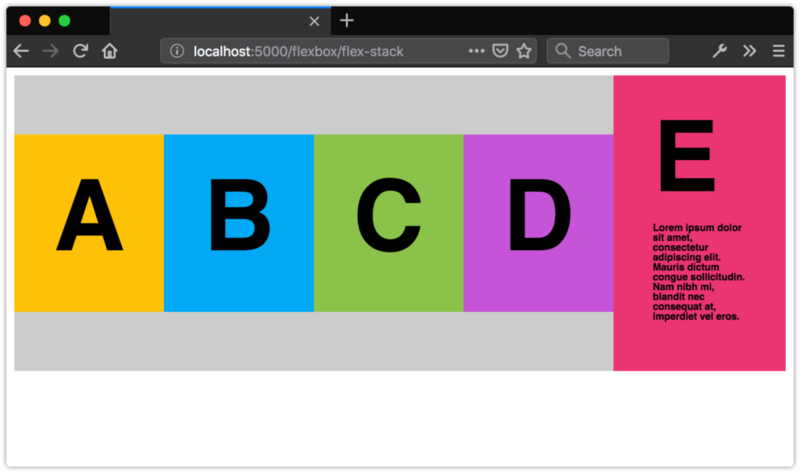 Jen Simmons’ video “Flexbox vs. CSS Grid — Which is Better?” walks you through some things to consider when choosing between Grid and Flexbox. Rachel Andrew’s “Should I use Grid or Flexbox?” is another great resource for understanding both. In practice, your projects will probably mix both of these techniques, as well as floats. 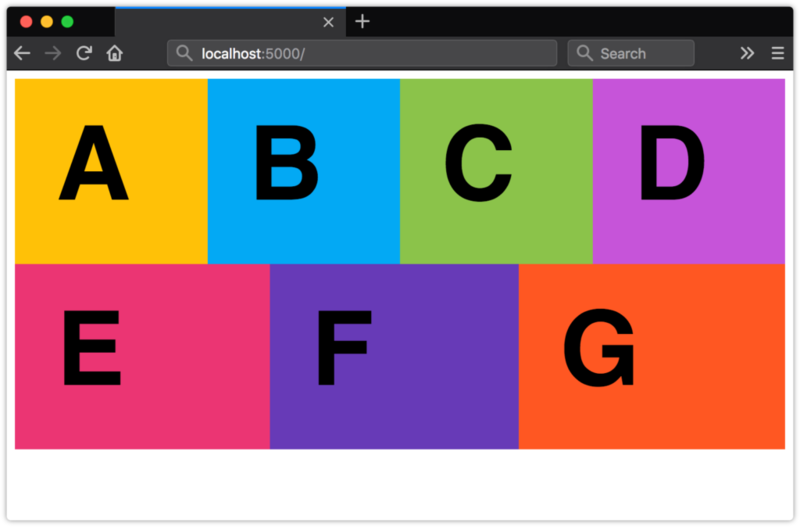 For instance, you may use Grid to define the overall page layout, while using Flexbox for your navigation menu or search box, and floats to place tables or images.